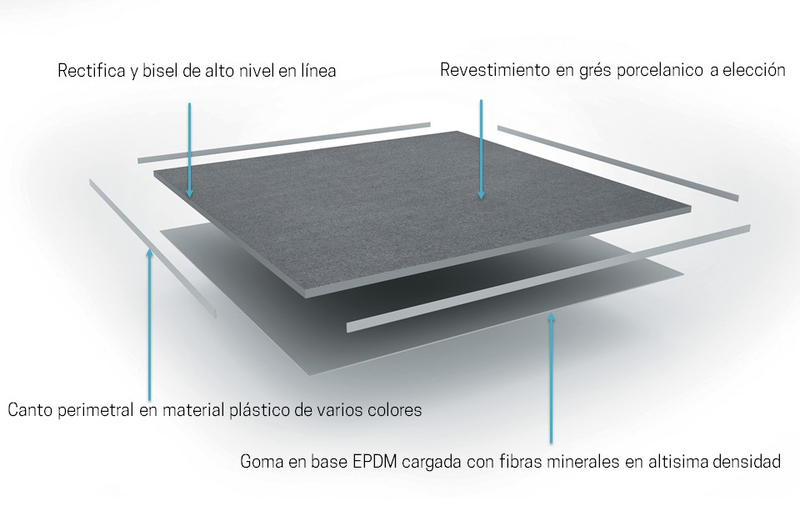 Freefloor is the patented system to dry lay porcelain stone, marble, granite or recomposed tiles; ideal as lining for unfinished floors or to renew old floors (raised or traditional) with the maximum simplicity and extremely quickly. 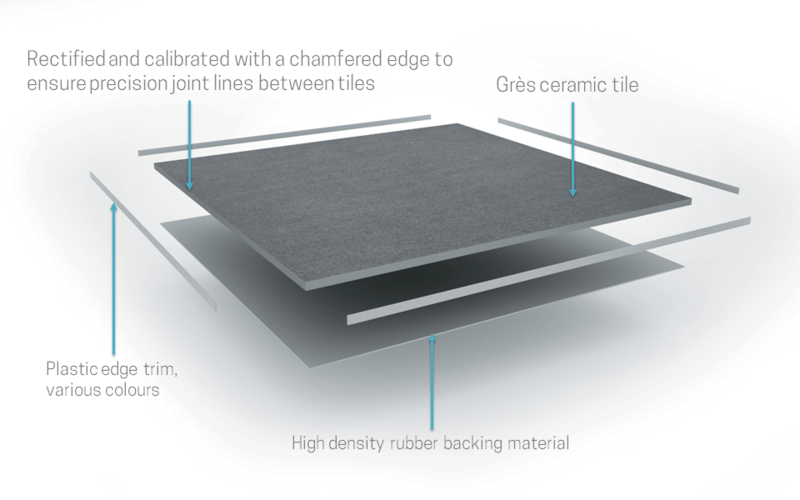 With irregular floors, laying a prior cement level is recommended, while no adhesives, glues nor plaster are required to install the product; once laid, the floor is immediately ready, strong, stable and durable. The single tiles are easy to remove using a suction cup for any replacements or work on systems under the floor.